Food Policy Council (FPC) with state-wide responsibility. The Food Policy Council is to be responsible for implementing the following recommendations. The Hungry for Change Food Summit calls on the New South Wales government to adopt an integrated whole of government approach to planning around food systems. 1.1. All policy areas need to place a priority on the food system to enable provision of a safe, adequate, culturally appropriate and affordable food supply. 1.2. Water policy needs to ensure equitable and sustainable access for food production and ecosystems. 1.3. Minimise and recycle food and food production waste. 1.4. Empower and resource local governments to support regional food systems. 2.1. 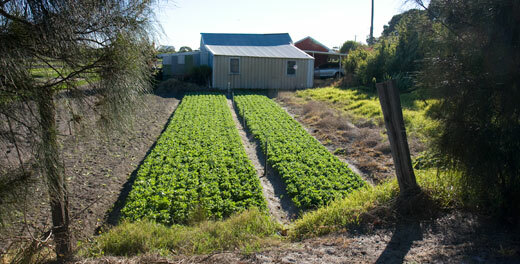 Protect rural and urban land for sustainable food production. 2.3. Reward food producers for growing local and sustainable food, including organic. 2.4. Ensure food producers receive a fair and equitable return for their produce. 2.5. Develop and support structures and strategies that encourage local food distribution systems. 3.1. Support strategies for affordable, healthy and safe food for all. 3.2. Resource creative, local initiatives in sustainable food production and distribution. 3.3. Provide targeted support for disadvantaged groups to access good food. 4.1. Reduce the ecological footprint of food production and distribution. 4.2. Drive corporate and social responsibility within the food systems. 4.3. Support appropriate technology, training and workforce development for the food system. 4.4. Apply precautionary principles to the adoption of new technologies in the food system. 4.5. Develop and support regional food enterprise. 6. Include information on food and food systems in both school education and community-based programs. 7. Food labelling and marketing support healthy and sustainable food choices. 8. Celebrate cultural and social aspects of food diversity. 9. Protect and retain the landscape value and environmental services of agricultural land for health and social amenity. All people have the right to adequate amounts of safe and nutritious food to promote and maintain health without the need for emergency food relief. Provision of healthy food needs to be valued and planned — it cannot be left to market forces alone. All levels of government must consider the impact of their policies on food systems. Policies on income, employment, housing, health and transport should incorporate food access. Permanent protection of fertile agricultural land is fundamental to good planning. The need to conserve essential ecosystem services, especially biodiversity, soil and water. New technologies to be approved only following thorough testing and assessment against a sustainability and health impact framework. little awareness of those who do. and 50% of these are in areas designated for urban expansion. of the entire NSW state budget. enough money for food or have to buy cheap and unhealthy food. costs of production and how to safeguard a sustainable healthy future food supply. Food security has never been so critical to the future of civilisation. regions across the greater Sydney region. Over 650 participants from diverse organisations in the Blue Mountains, Illawarra, Central Coast, Central Sydney and Illawarra have participated, as speakers focussed on key food system issues for their region. Each forum was tasked with developing a statement of issues to take forward to NSW Food Summit in October. those responsible for short and long term planning. systems, innovation, business, economics and governance. valuing and celebrating quality food in society.